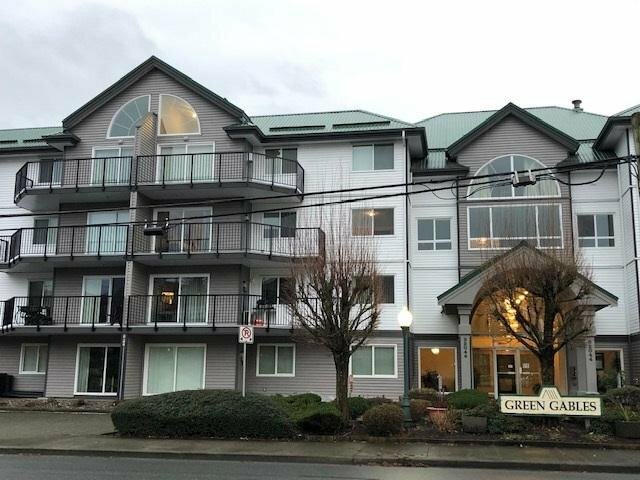 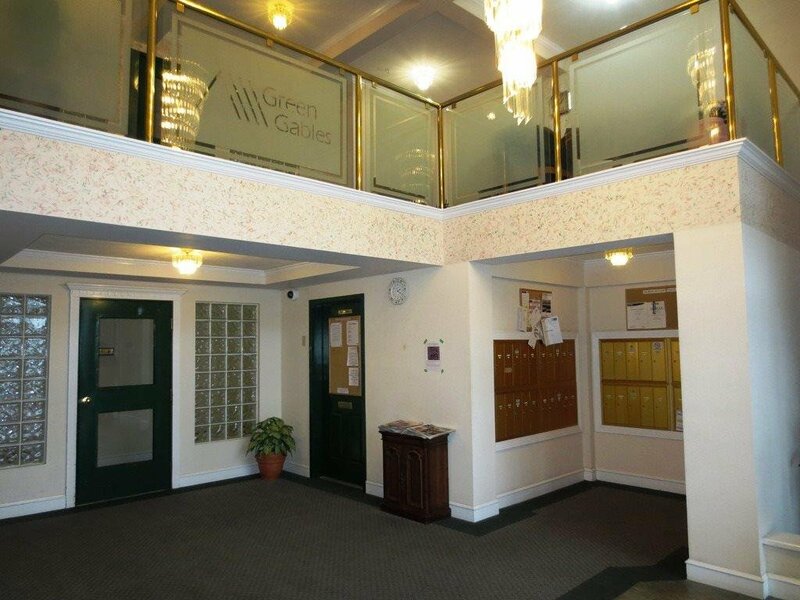 TOP FLOOR, 2 bdrm, + den, 2 bath, 1117sqft apartment in Green Gables= Great location! 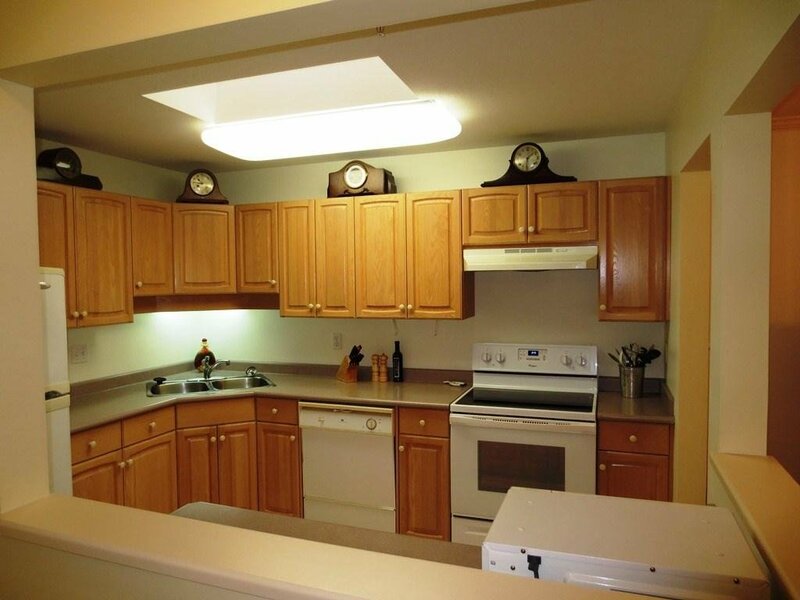 Open concept layout! 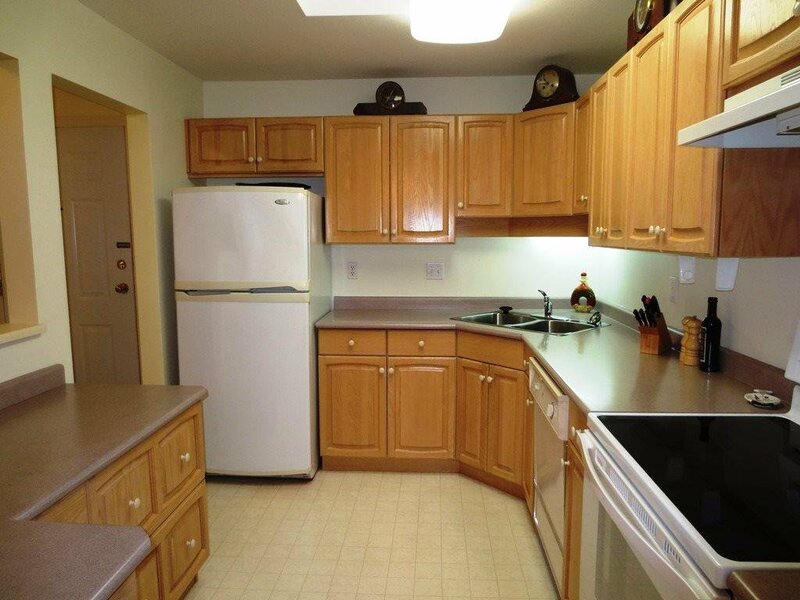 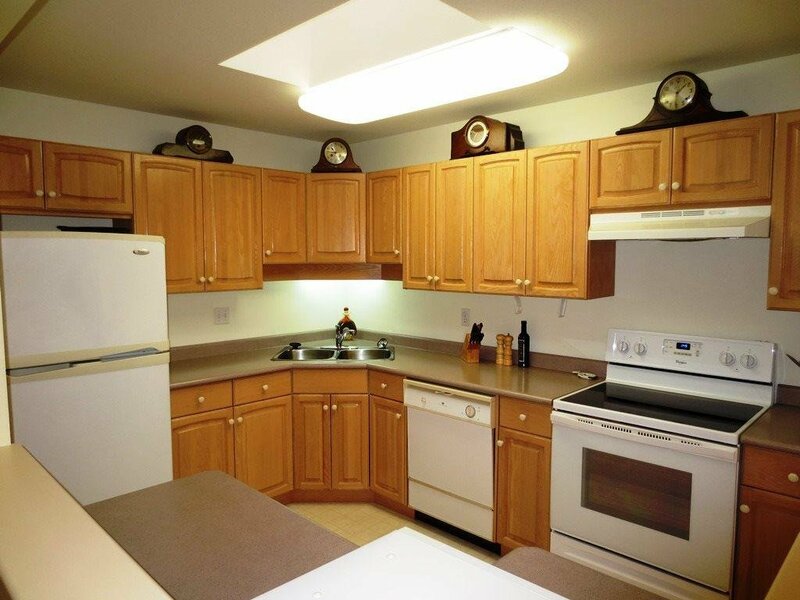 Wood cabinets, lots of counter space, good storage, & nice bright skylight in kitchen! 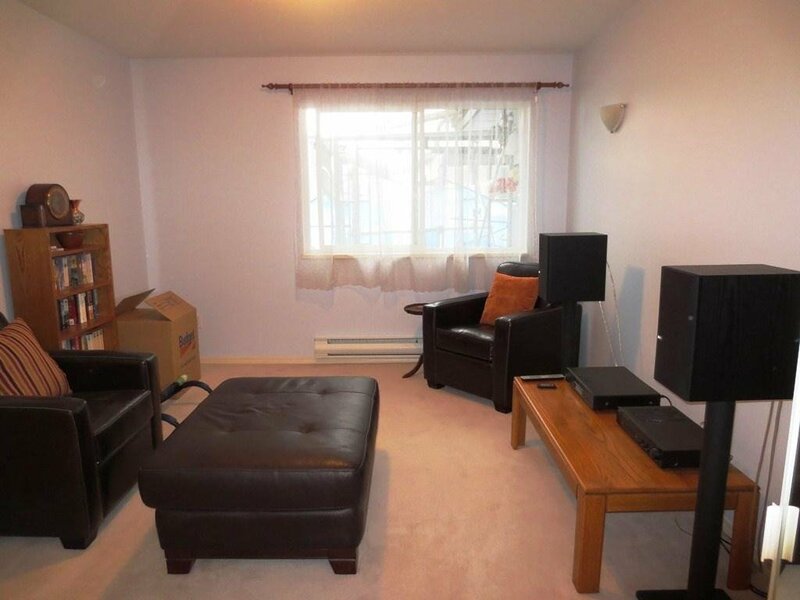 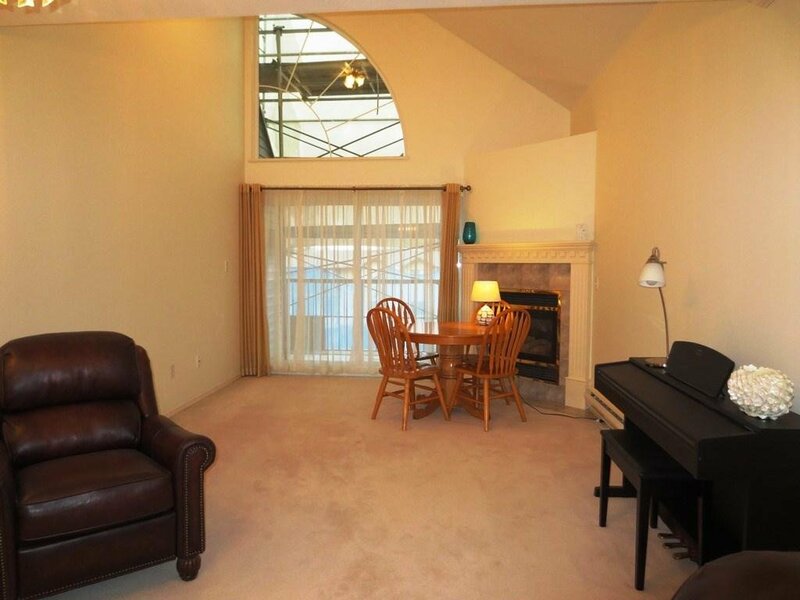 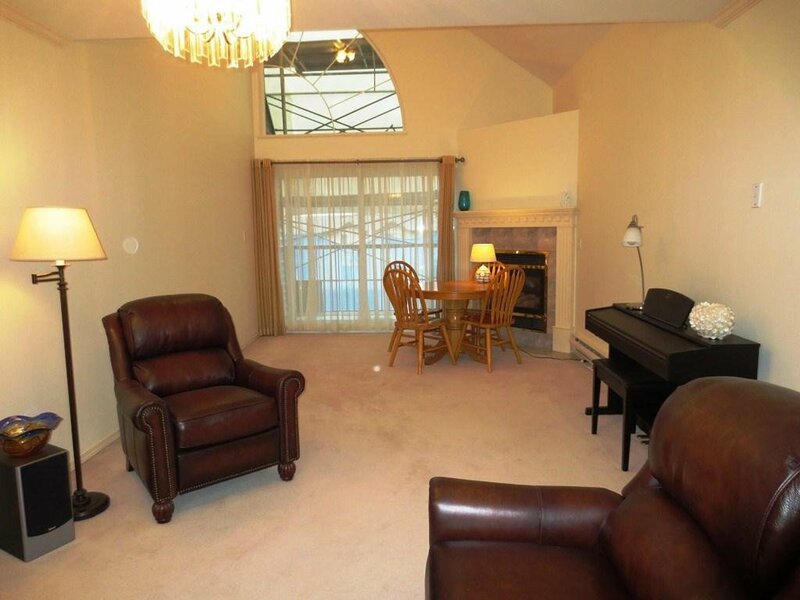 Vaulted ceiling in living room w/extra window & cozy corner gas f/p, & sliders to balcony. 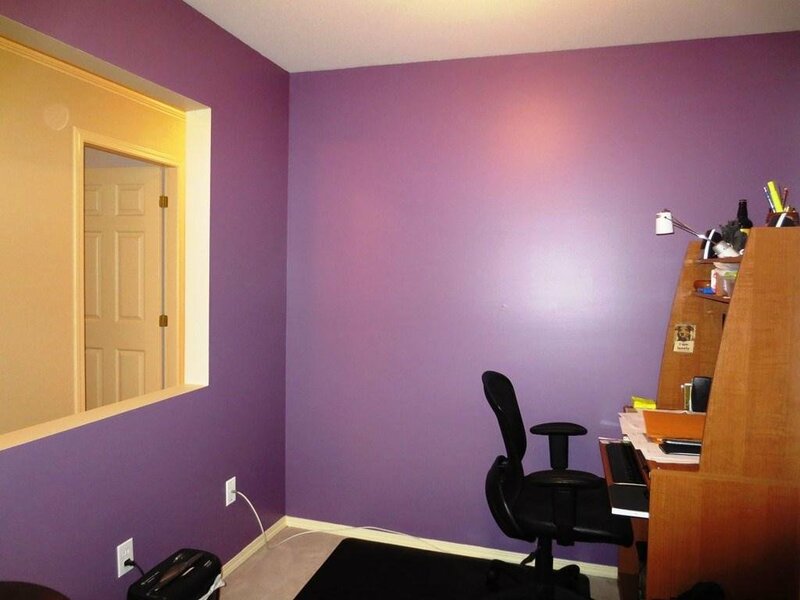 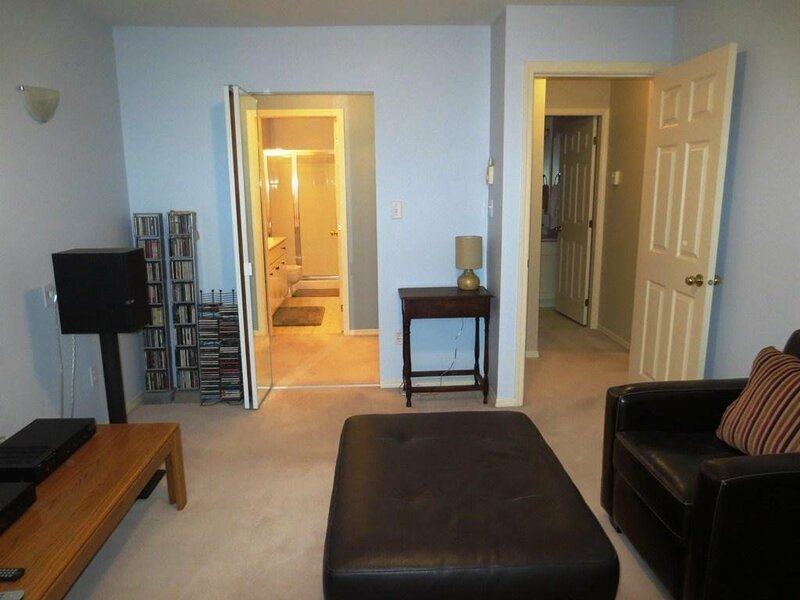 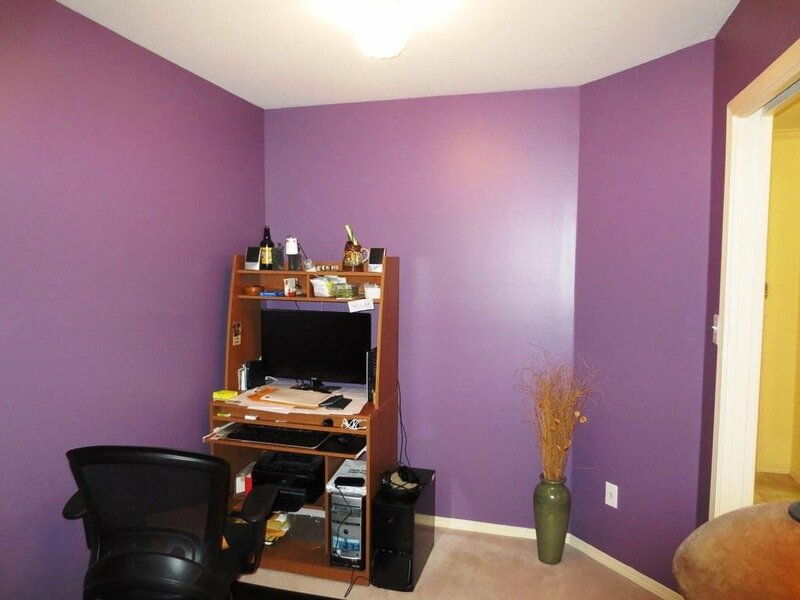 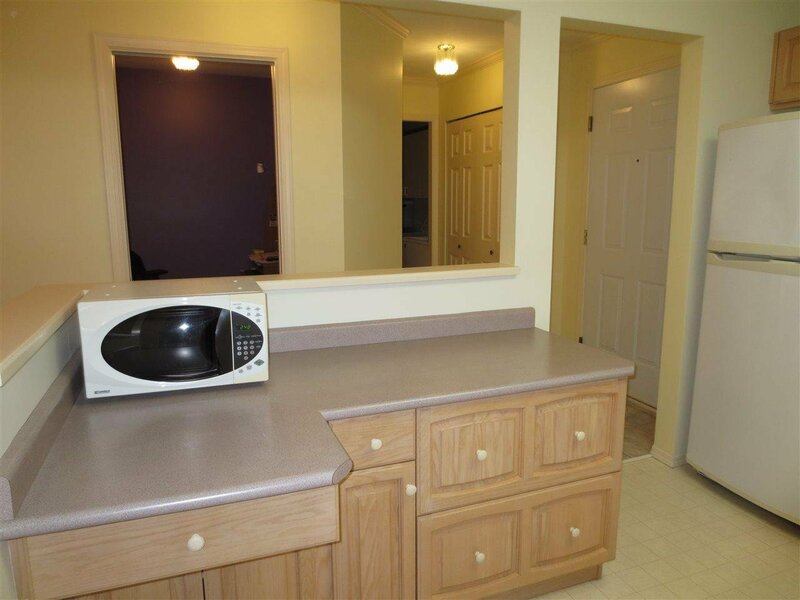 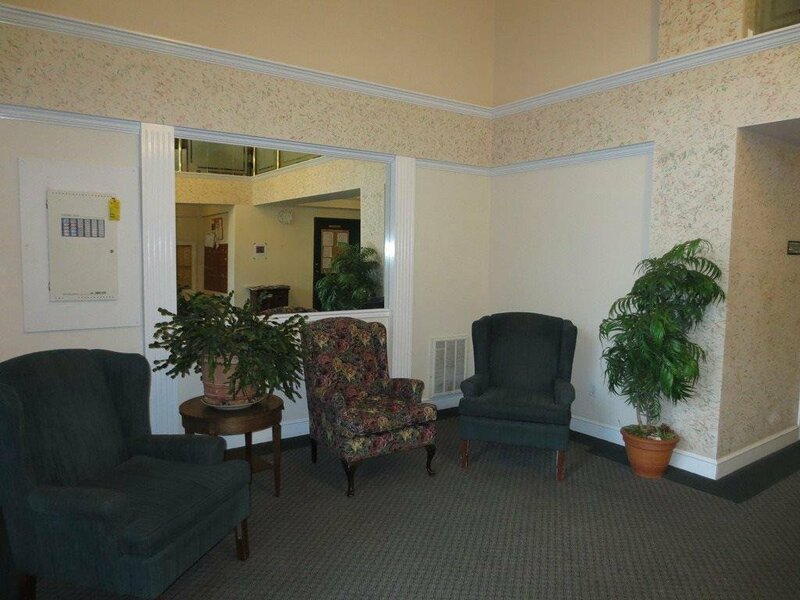 Convenient den = dining rm or office! 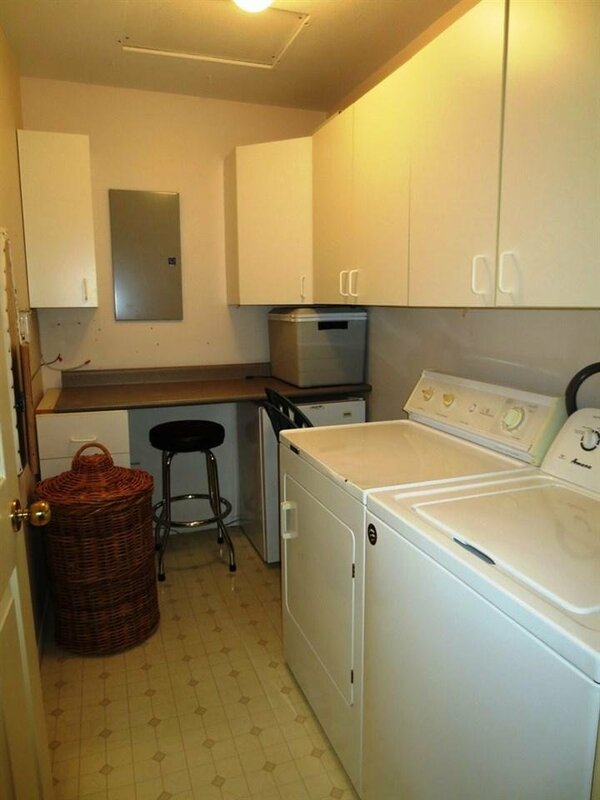 Insuite laundry w/cupboards & room for freezer! 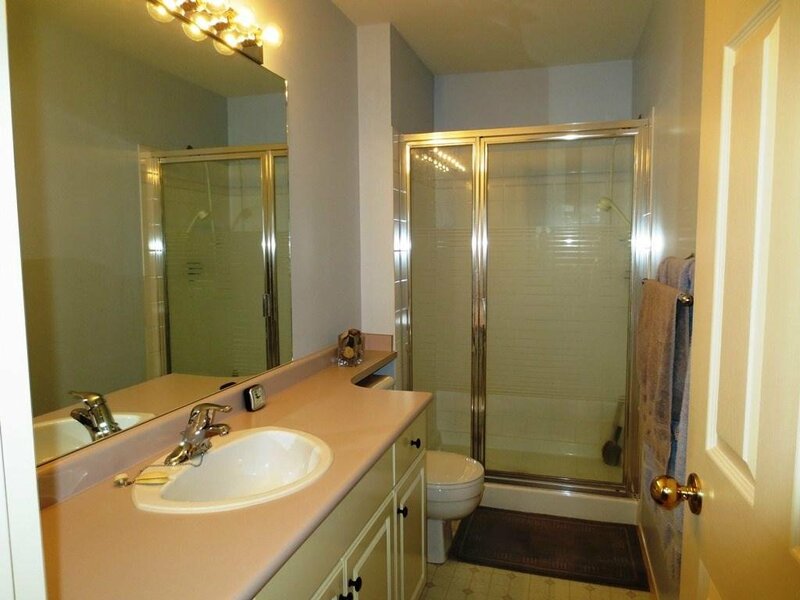 2 good sized bdrms w/big closet (mbdrm= dble closets) & 3 piece ensuite w/lots of counter space! 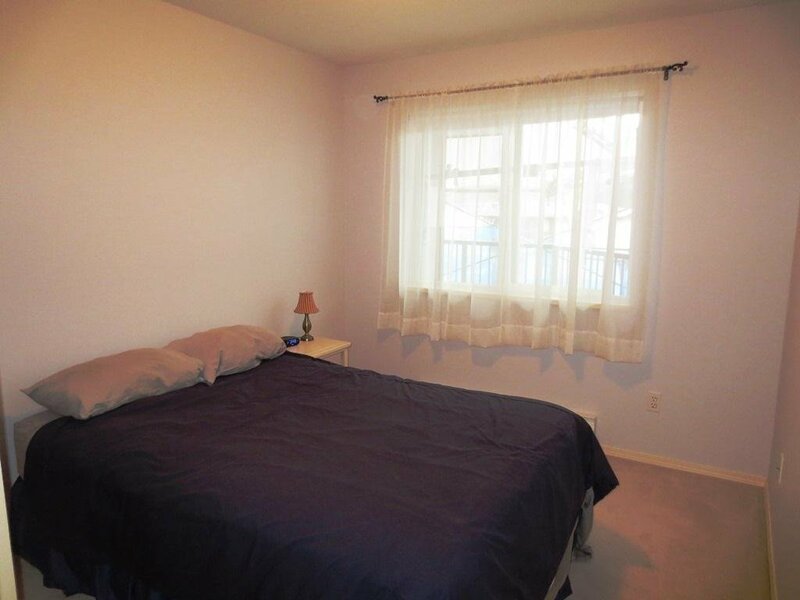 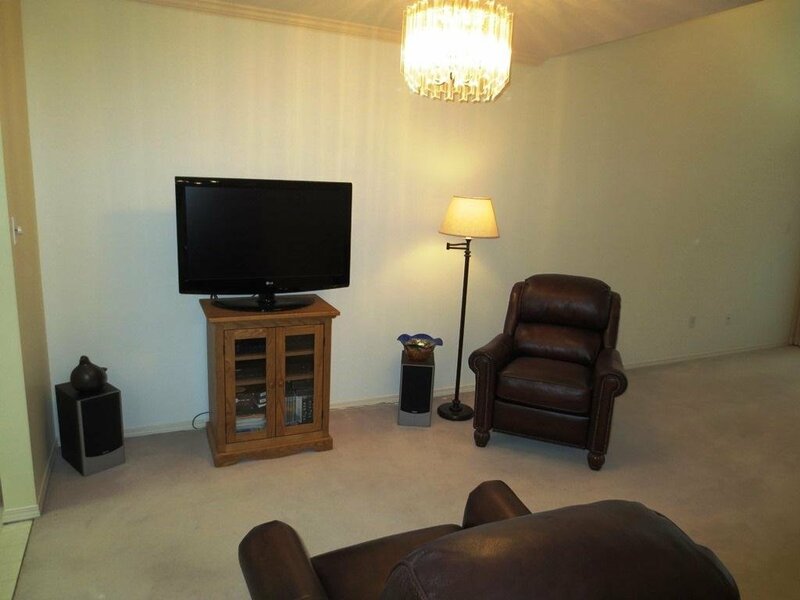 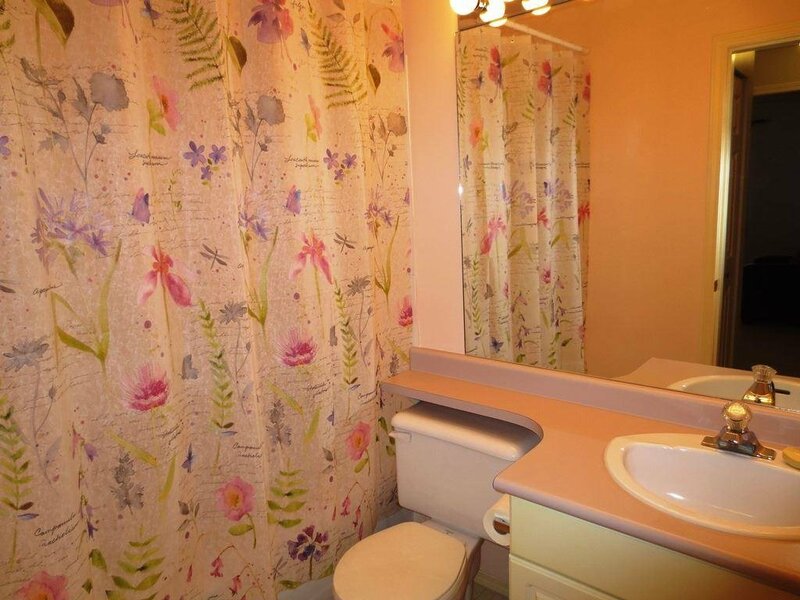 25+, 1 cat ok (no dogs), no rentals, secure underground pkg, storage locker, guest suite & common "library/sitting area". 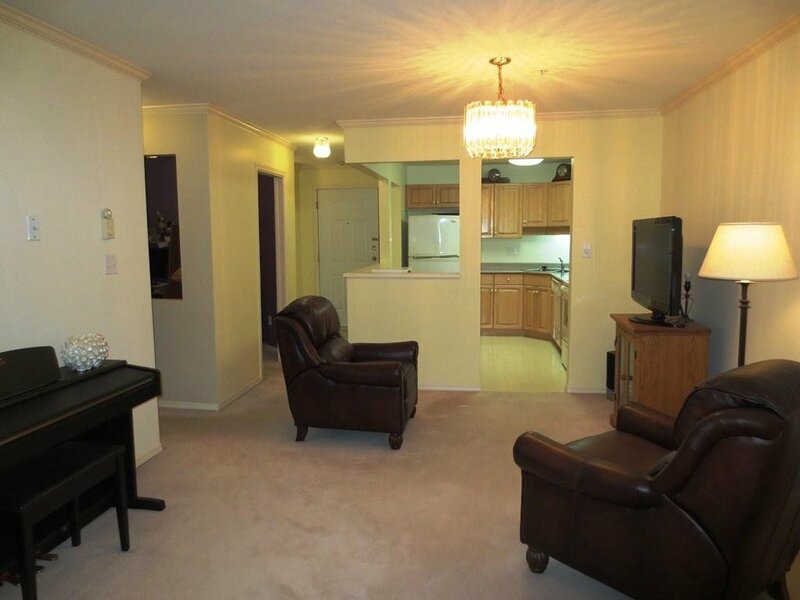 Strata $315/mo. 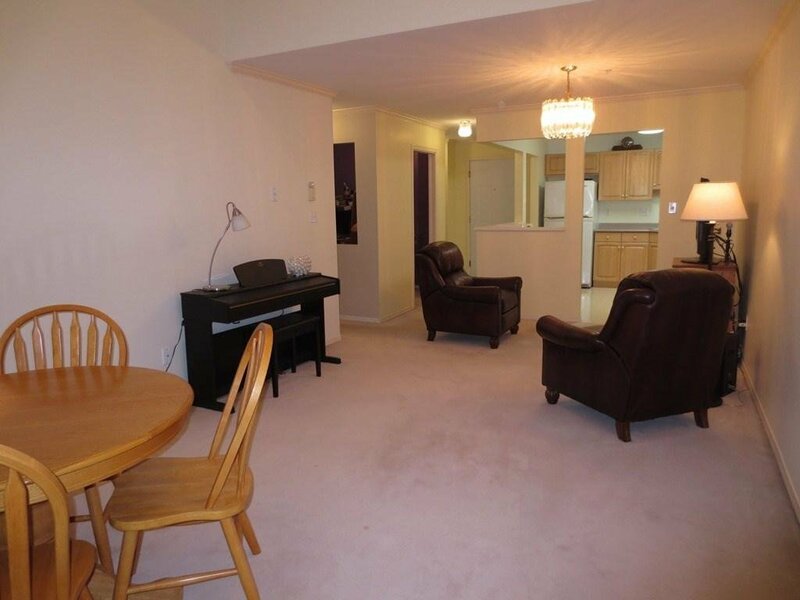 UPDATING BUILDING - NEW WINDOWS, DOORS, SIDING, BALCONY'S, COMMON AREA CARPETS, ETC - ASSESSMENT PAID BY SELLER!